Our store is located at 127 Normanby Rd in Paeroa, Tauranga. We have a variety of pizza, chicken, seafood, beef, lamb and vegetarian food options available. 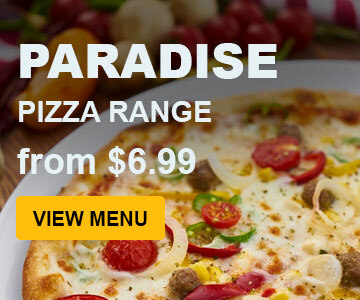 There are a great choice of sides available for customers who want to purchase meals or get something extra with their pizza like snacks, chips, desserts and drinks. We also run specials all the time, view our menu to see what food items are currently on special. Pizza pickup and delivery avaliable for Awaiti, Hikutaia, Karangahake, Komata, Netherton, Paeroa and Tirohia.